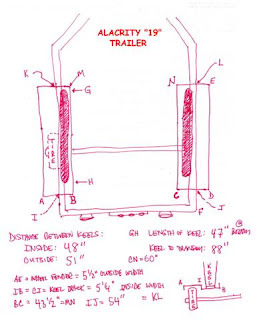 And here are the dimensions for a typical Alacrity trailer. What a great drawing. Was really helpful as my daughter is taking her alacrity out of the water and I'm trying to find a trailer for her to sit on over the winter. That the boat not her! Flat bed trailer it is!